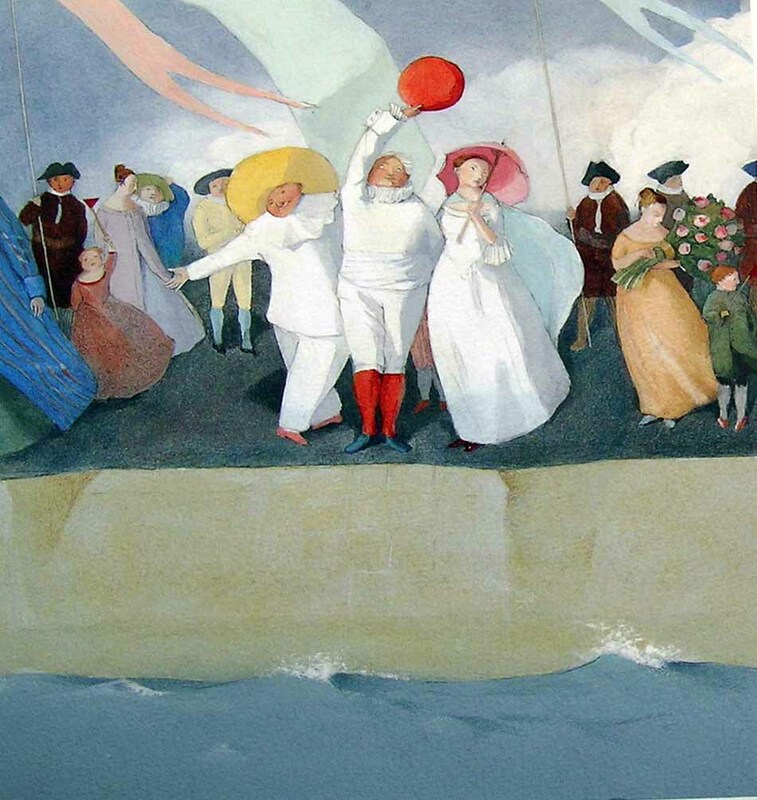 The Austrian illustrator Lisbeth Zwerger is a favorite, especially among other illustrators — there are so many characteristics of her paintings that draw us in and amaze us. When I’m asked why she’s one of my favorites, I often find it hard to put into words. Lisbeth chooses to depict scenes we know so well in unexpected ways (she most commonly illustrates re-tellings of favorite stories and fairytales), her compositions and characters are often odd and surprising, and she uses an incredible balance of detail and open space. Her use of color might be one of her strongest talents — she goes beyond the perfectly balanced, harmonious color schemes that, while beautiful, can sometimes be too obvious or formulaic. Her color combinations are mysterious and hard to understand (in a very artful sense); they are often indefinable colors. One way illustrators can begin to create indefinable colors is by mixing a hue with a small amount of its complimentary color. For example, adding a small amount of red to green creates a more muted, olive green. If you were to make a color that was half red and half green, it would make gray. This is the same case with blue/orange, and purple/yellow. Since there are endless hues of red, yellow, and blue, there are endless combinations that can be experimented with. In addition to Lisbeth’s large fields of indefinable color washes, she brings in pops of vibrant, dense colors to smaller elements in the painting. One of my design teachers called this the 10% rule — she would suggest finding harmonious colors that blend well together, but 10% of the composition should be painted with a completely unexpected color or colors that don’t ‘belong’. 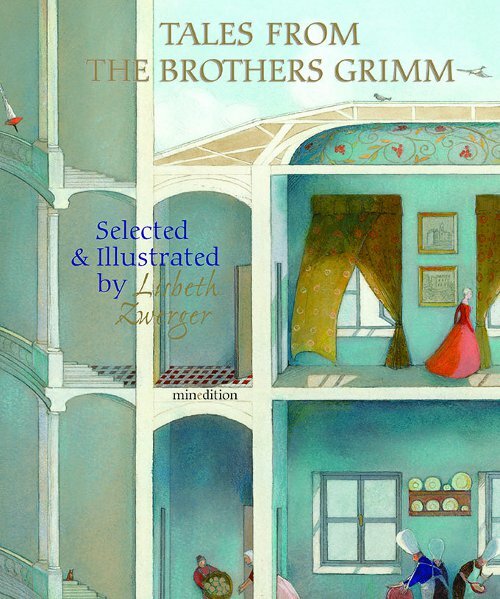 Lisbeth’s cover for this collection of Grimm’s Tales is a great example of this, with pops of red and gold amid soft blue-ish/gray-ish/green-ish color scheme. Just talking about how Lisbeth Zwerger uses color is making me itch to go play around with new paint colors and washes! I hope she has the same effect on you, too. Thanks for fascinating insights into the complexities of color! Yes! This post did make me want to play with paint–something I haven’t done in decades! Hey, Eliza! As you know, I’m a huge fan of Lisbeth’s work as well, and have three LZ prints on my office walls. After reading your post, I’m looking at the colors with fresh eyes. Thank you for your insights! Thanks, Linda! I’m so jealous of your prints! 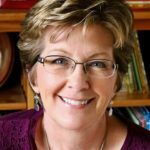 As a writer, I’m thinking there are tips here for us too. You illustrators keep making me see things in new ways. Thanks, Eliza! 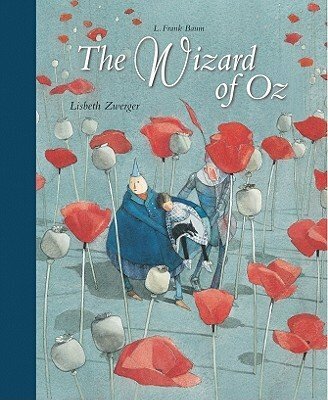 My children grew up with Lisbeth’s Wizard of Oz book. I put it inside my Little Free Library and it disappeared the next day for others to enjoy. Love your post, Eliza! Great to read your insights on Zwerger’s work Eliza — thanks. Thank you for this interesting interpretation. I doubt I’ll look at colors in the same way again. Thanks for the insights – I really appreciate it! Eliza–I agree! She is a wondrous artist. And I, too, appreciate the insights.